If you're ready to "Sip. Laugh. 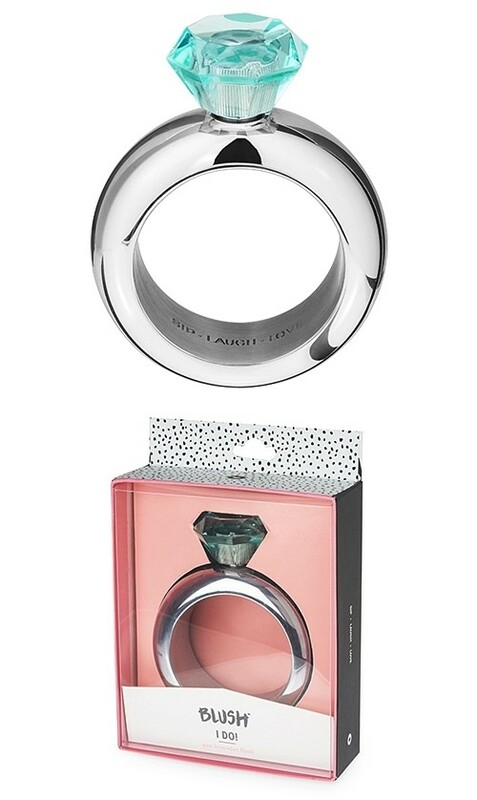 Love" then say yes to this diamond cap bangle flask and vow to keep your drink a stylish secret. An ideal accessory for any bride-to-be, from the engagement party to the honeymoon. Holds four (4) ounces of your favorite spirit. Each comes packaged in a hanging gift-box with display window and product name belly band.